The Christine Baranski-led CBS All Access series "has moved its own stylistic goalposts far beyond its progenitor series, pushing The Good Wife‘s snappy-smart dramatics toward the visceral and the surreal," says Darren Franich. He adds that in Season 3, co-creators Michelle and Robert King "aren’t just chasing topicality. They’re telling deep stories about rich characters struggling to make sense of this incoherent moment. Every action has inadvertent, apocalyptic consequences. Lucca takes her baby for a stroll and sings a few bars of 'Baby Shark' within earshot of a loudmouthed white lady, and somehow that incident begins an uncivil war among the law firm’s employees. Diane seeks a new output for her liberal rage — and winds up conjuring an uncontrollable political movement." 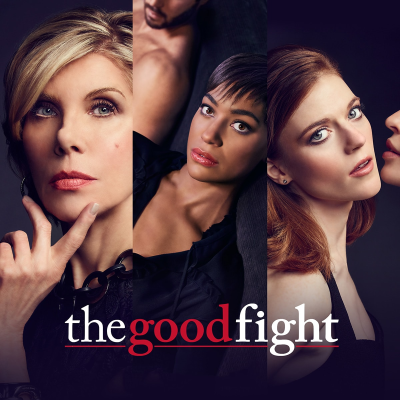 The Good Fight’s existence poses the TV version of a Zen koan: "If someone comments on the Trump administration in a forest and no one can hear it, did they make a sound?" says Alison Herman. "If a satire limits its audience by default, can it truly have an impact? Last but not least: If a group of people make an excellent TV show and no one can watch it, does it really exist?" Michael Sheen's addition is a genius move: His Roland Blum is "a feral loose-cannon sculpted in the mold of master manipulator and all-around amoral scumbag Roy Cohn"
Baranski: "The first words of the season are 'I’m happy,' those two words. In bed, with this delicious man"